Vision Expo East is a little over a week away and we’ve been busy preparing for the show! Packing for a tradeshow can be a hassle, but the one essential we know that you’ll be bringing is your smartphone and/ or iPad. To help you through Vision Expo East and New York City, we’ve compiled 10 ‘must have’ apps to maximize your time and fun at the tradeshow. Tradeshows can be overwhelming, with so many booths to visit and so little time! The worst part is losing precious time trying to find booths and getting lost in the crowd. With the Vision Expo app, you’ll be able to plan your schedule ahead of time, navigate the show floor with interactive maps, download course schedules, and even contact exhibitors for appointments. Are you a serial to-do-list maker? 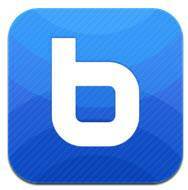 If so, this app is for you. Asana gets team members on the same page by creating shared to-do lists, assigning tasks, and prioritizing items. You get to see changes in real time and all history and discussions are kept together, so you can see where things are and what’s happened. You’re interested in a couple of big purchases at the tradeshow, so you grab a bunch of brochures and write important notes on it. But right when you are ready to review all your gathered information, you realize that you lost the brochure! 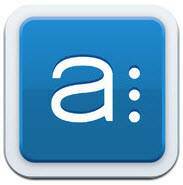 Genius Scan scans documents of any kind into PDF files, so you can catalogue handwritten notes and refer to it later. But remember to scan them immediately! If you plan to sell products at your booth, don’t even think of lugging a cash register and printer for printing receipts. 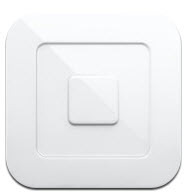 Square is an extremely convenient way to accept mobile payments. Attach a small card reader to your iPhone or iPad and customers can swipe their credit or debit cards to complete the transaction. The app will then text a receipt to the buyer’s phone. Transactions are safe and convenient! 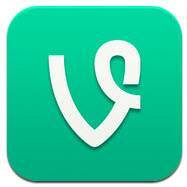 Vine is the latest craze in social media! 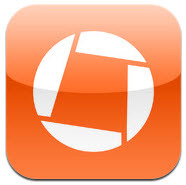 It lets you capture and share 6 second looping videos and sounds. Capture videos from the Expo about customers, the crowd, or funny sightings and then share them on Twitter. Give everyone a glimpse of what it’s like being there and that’s what VisionWeb plans to do. Look out for our Vine videos on Twitter! What fun is a tradeshow without giveaways? A prize wheel is a great way to keep your customers engaged and draw people into the booth. But forget about the bulky spin wheel that’s expensive to ship and difficult to set up! 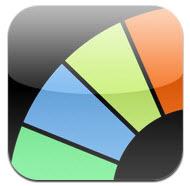 iPrizeWheel will provide the same amount of fun and panels are customizable in minutes. When tapping on the screen of your smartphone gets too overrated, Bump allows two smartphone users to physically bump their phones together to transfer contact information, photos, and files to each other. It also allows users to bump photos from their phone to a computer. It is the eighth most popular app to be downloaded from the app store, so it is very likely that the new connection you just made at the tradeshow will have the app too. Expect to exchange plenty of business cards with new connections and customers you make at the tradeshow. But before you keep it in your pocket, be sure to use Business Card reader. It reads the image and enters the data into appropriate fields of your smartphone’s address book. 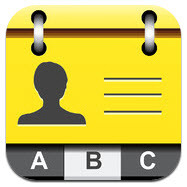 No more manual input of contact information and no more losing important contacts! We hope that it’s not just all work at Expo. You’re in New York City, one of the world’s most exciting and bustling cities! You deserve to explore and have a little bit of fun. NYC Way provides a list of places to eat, visit, and shop. 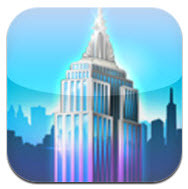 With maps and transportation options, it also helps you navigate around the Big Apple. 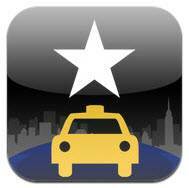 As iconic as yellow taxis are to New York City, it can be hard to flag one down. CabSense NYC shows which street corners are best for catching a taxi cab based on the day of the week, time, and your current location. Reduce the wait time for a cab and get to the tradeshow on time! Now that we've recommended our favorite apps, we want to hear from you! What tips for ECPs can you share for must-have traveling apps? Come visit VisionWeb at Booth #MS7061 and follow our journey through Vision Expo East on Twitter! We hope to see you there!